B.One Energy Manager allows you to monitor and manage the energy consumption and production in your building, home or business. B.One energy manager provides you with detailed insights into your energy consumption and production patterns via an intuitive user interface. It helps you achieve your energy saving goals by automating your electrical appliances. It also allows you to manage and monitor all your devices from anywhere in the world. Monitors real time status of your Home / Business Energy Consumption and Production. Sends alerts about Energy usage. Shows what devices are consuming / producing how much Energy (and benchmark against device specifications for preventive maintenance). Shows individual channel power factor and key electrical parameters. Displays Real Time Status and up to last 6 months of energy consumption / production for easy understanding. Allows you to automate the switches to turn OFF when the energy consumption is exceeded. Allows you to automate the switches to turn ON / OFF based on fixed timers (efficient usage of devices during off-peak Grid tariffs). 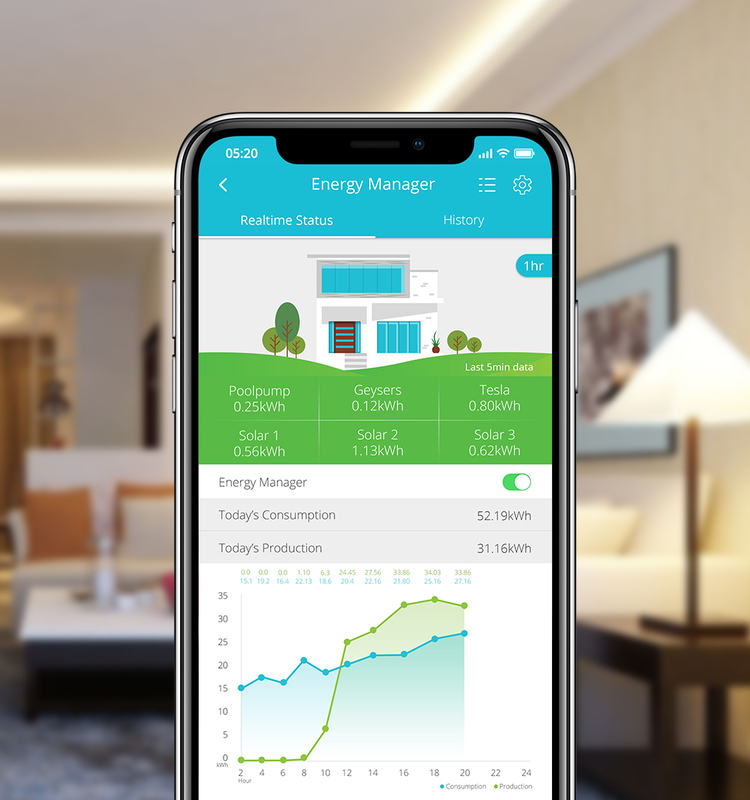 User can limit Energy consumption and save significant costs based on Daily, Weekly and Monthly energy usage by configuring alerts, Auto Turn OFF feature through the B.One App.